Factair's TrailAir range of long duration cylinder sets provides a highly mobile source of breathing-air and is ideally suited to applications where the use of a mobile breathing-air compressor would be inappropriate. 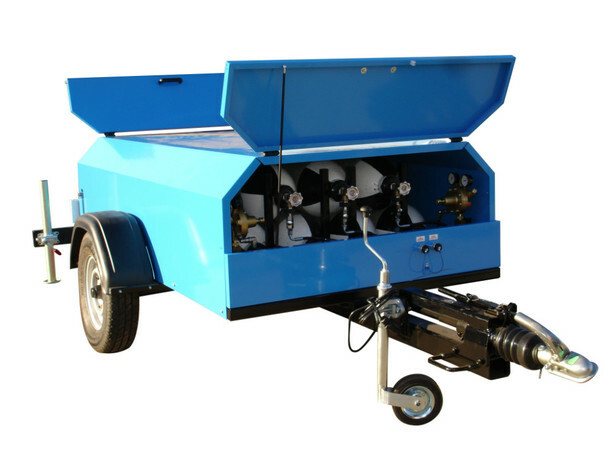 As standard each unit is road towable and fitted with an alarm system to warn when the pressure drops below a pre-set level. Connections on the control panel allow in situ recharging of the cylinders. 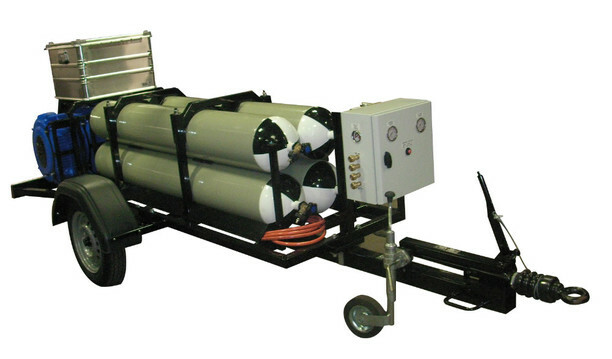 Units can be provided in a variety of cylinder configurations depending on the amount of capacity required; additional options include hose reels and storage facilities for airlines and masks. Sale or hire options available.